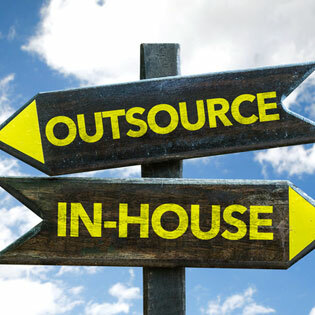 Do you have an in-house service desk? A main reason why cloud providers are becoming an attractive option for businesses, and especially small businesses, is that they can functionally replace any IT staff they may have. However, this means that when the business notices a problem, they have to notify the cloud provider so they can fix it. What should ideally happen is that the cloud engineers receive your ticket through their own software and instantly start working on it, notifying you of any updates along the way. The problem is that not ever cloud provider has this stage of the process in their own building, choosing instead to outsource the ticket-taking help desk to a third party. This just creates extraneous lines of communication – do you really want to contact a cloud provider then wait for them to contact a third-party help desk before they can start working on it? Of course not! Do your technicians have current certifications? Cloud computing is a constantly evolving industry and it is involved with numerous other fields of work, including accounting, healthcare, legal, and government. Cloud technicians need to be certified to work on systems relating to all of these industries, each of which carry their own legal requirements and certifications that must be met and kept current. Working with cloud technicians that don’t carry current certifications can result in serious legal ramifications for their business and yours. Do your engineers act professionally? The engineers are who you will be in contact with most of the time, because they are the ones solving your IT problems. You want to make sure they take their job seriously, and that means coming in on time, staying late if need be, and being polite on the phone with their clients. Are you familiar with applications unique to my business? While you may not think about the applications you use that much because you use them every day and know them like the back of your hand, that may not be the case with some cloud providers. Every industry uses applications that are unique to their business, and some accounting firms prefer one CPA-specific software to another. You need to make sure the cloud provider you work with has not only heard of every application you use that’s essential to your business, but they know the ins and outs. Will I ever hear “that’s not our problem”? Sounds funny, but it’s a real problem some businesses face with incompetent managed services providers. Your IT problem should be their problem, that’s what you pay them for! You must get a guarantee from them that every network or technological problem you run into will be worked on by the cloud provider. For more information on cloud services and how they can help your accounting business, check out the TOSS C3 website or call us anytime at 1-888-884-8677.